Soi Sukhumvit 31 Map it! Peek inside more stores like this in Bangkok. See what's near Cherubin Chocolate Bakery. Read user reviews on Cherubin Chocolate Bakery. 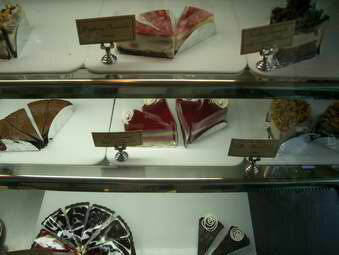 Add a comment on Cherubin Chocolate Bakery. Visit the official Cherubin Chocolate Bakery site. The YummyBaguette website is in no way affiliated with Cherubin Chocolate Bakery in Bangkok, but don't hesitate to let the owners know how you found them!